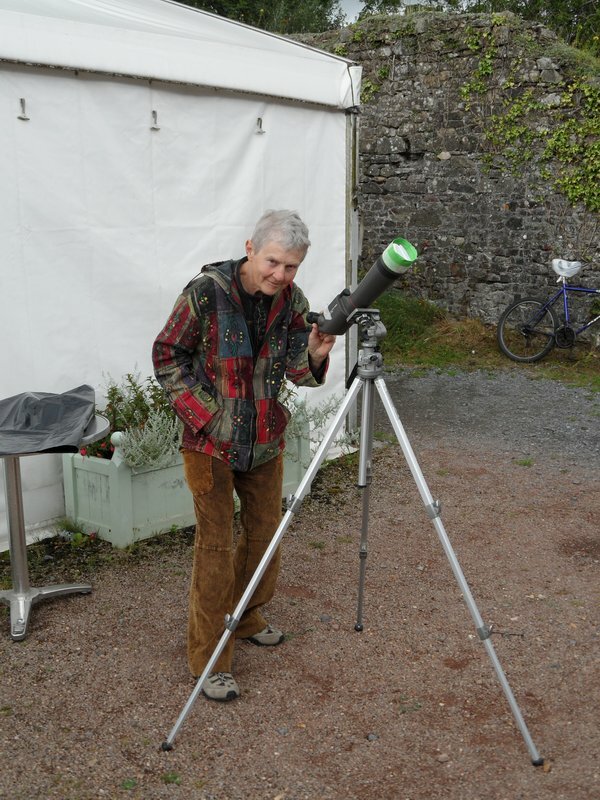 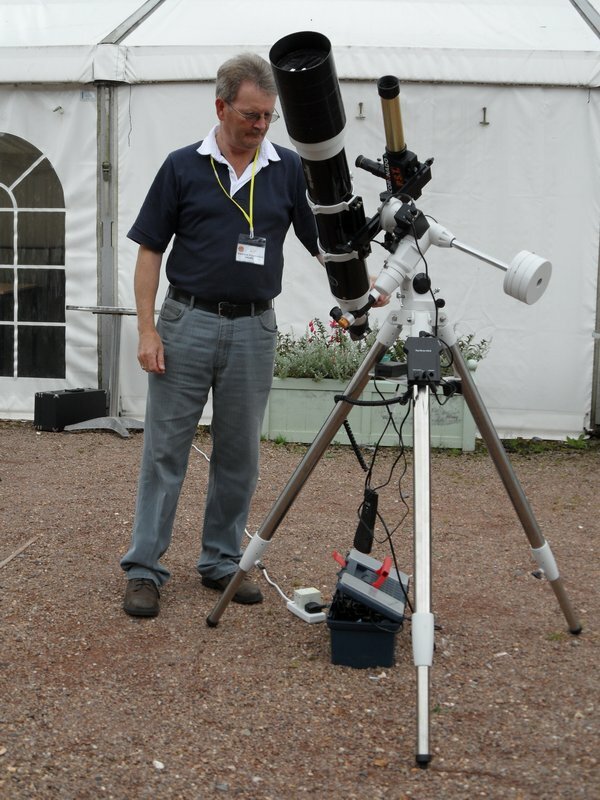 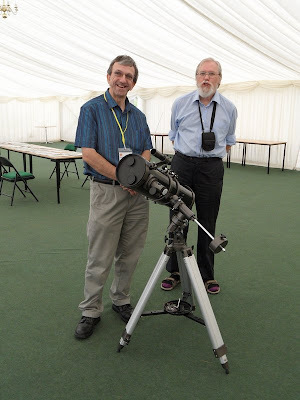 Swansea Astronomical Society put on an event for the public in association with the National Botanic Garden for Wales. Members took a variety of solar observing scopes. 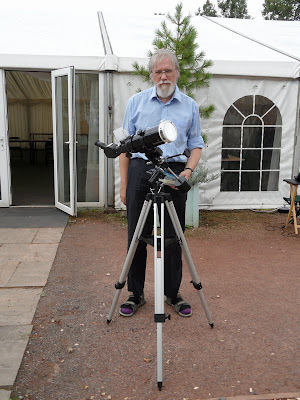 and Brian Spinks delivered lectures on the Sun in the morning and mid afternoon. 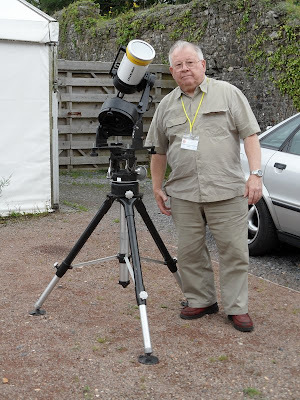 Ironically, today was only the second day in the whole year when there were no sunspots to be seen on the Sun. 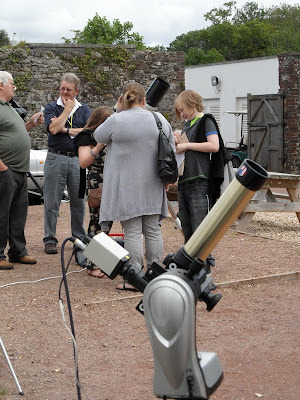 However, there was plenty of activity in the Chromosphere and visitors were able to see 'surface' structure, filaments and prominences in the H-alpha telescopes used. One H-alpha scope was connected to a video camera and showed real-time video of the solar surface and solar prominences when there were gaps in the clouds. 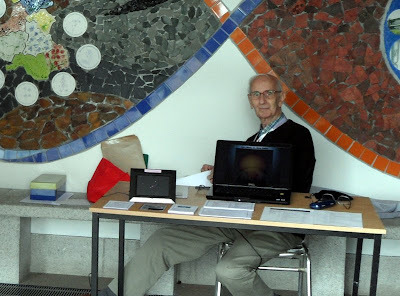 Brian Stokes manned the reception desk and the exhibition. 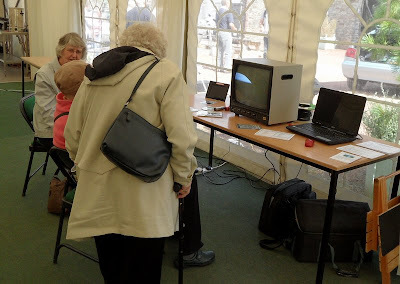 A computer and digital photo frame slide show provided constant and changing interest. 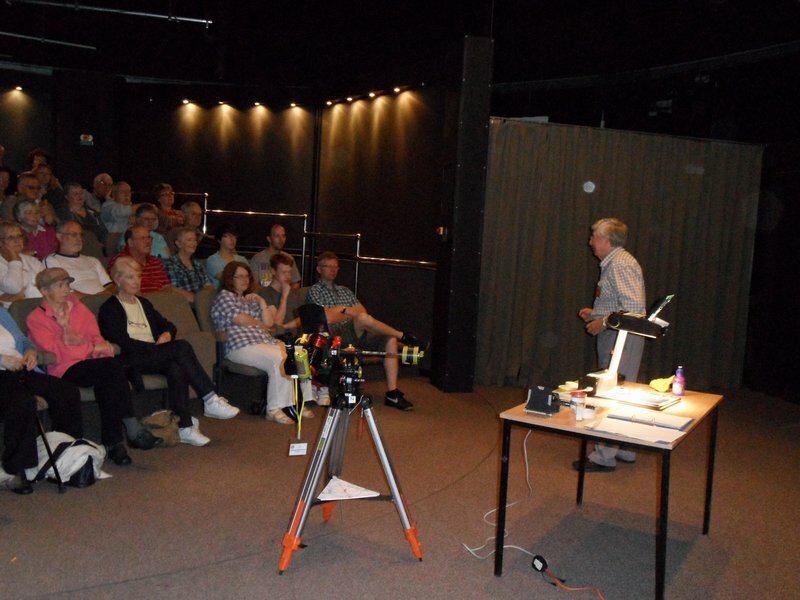 Brian Spinks talked about the Sun to packed audiences in The National Botanic Gardens theatre. 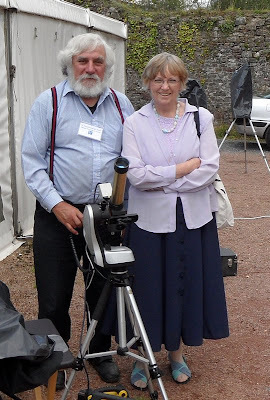 Steve with Theresa Cooper from Cardiff Astronomical Society lending her support. 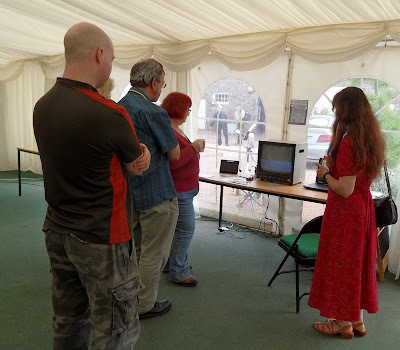 Visitors in the marquee looking at the digital photo frame slide show, the Large monitor showing H-alpha real-time video of the Sun and a computer showing the satellite image of the weather. Visitors outside the marquee, talking with society members and viewing the Sun.